Simon Cowell has them, so does Madonna. Audrey Hepburn’s and Marilyn Monroe’s have been emulated by millions of women. 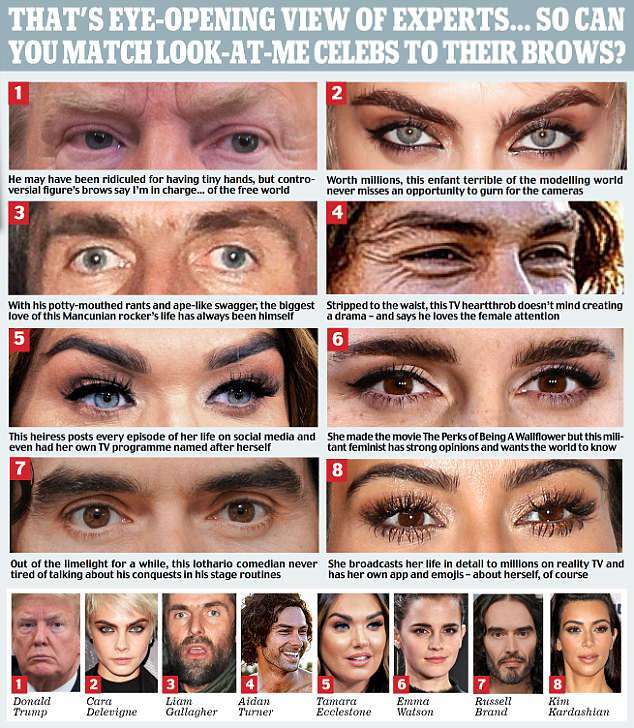 Psychologists have been combing through the evidence – and conclude that eye-catching eyebrows mean… you’re probably a narcissist. Researchers discovered that those with ‘thicker and denser’ brows are more likely to be self-centred than others. A group of men and women who took part in a study were asked how much they agreed with statements such as ‘If I ruled the world it would be a better place’. ‘Narcissists behave aggressively when pursing potential mates and enjoy successfully securing short-term partners,’ said Dr Giacomin.